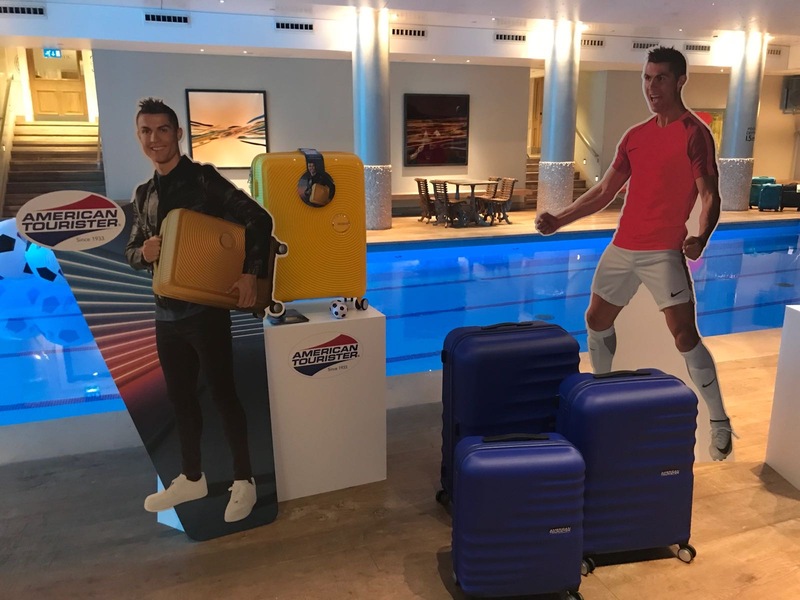 April 12th 2018, to celebrate Cristiano Ronaldo as American Tourister’s 2018 Brand Ambassador, Chase PR hosted a football themed drop in breakfast event at the Haymarket Hotel. Target press and influential bloggers were introduced to the new Soundbox collection as well as viewing the new Cristiano Ronaldo promotional campaign video. Upon arrival guests were welcomed by the team at Chase PR and offered a selection of pastries, breakfast canapés, as well as freshly squeezed fruit juice, tea and coffee. Attendees were shown the new editions to the Soundbox collection, as well as American Tourister’s new 2018 collection. During the event guests had the opportunity to watch football stunt artist Jamie Knight, perform tricks – which correlated with the football theme of the event in celebrating the collaboration with Cristiano Ronaldo. Throughout the morning Chase PR encouraged people to employ social media to share the event using the hashtag #MeandMyAT and the Ronaldo hashtag #BRINGBACKMORE. Following this Chase PR received an array of social coverage. Following the event, coverage was seen in the likes of the Daily Express, Daily Mail and Twenty First Century Gent.